“Lightning” Larry Wight scored the biggest win of his life on Sunday at Oswego Speedway, claiming the Super DIRTcar Series Big-Block Modified event, NAPA Super DIRT Week. Wight pulled off a late-race pass on Jimmy Phelps and went on to hold off the five-time NAPA Super DIRT Week Champion, Stewart Friesen, for the $50,000 payday. Phelps, who gambled on racing the entire 200 without stopping for fuel, was sideline with only four laps remaining in need of a splash and had to go down pit lane and forfeit his second-place position. Friesen followed in pursuit but didn’t have what he needed to get around Wight. Friesen finished in a close second, while last year’s runner up, Peter Britten, rounded out the podium. This year’s NAPA Super DIRT Week will be remembered as one of the greatest weeks in dirt racing history. Despite mother nature’s attempt at putting a damper on the week, with the five-day event being pushed into three full days, every single feature event had everyone at the edge of their seats with late-race passes for the lead. 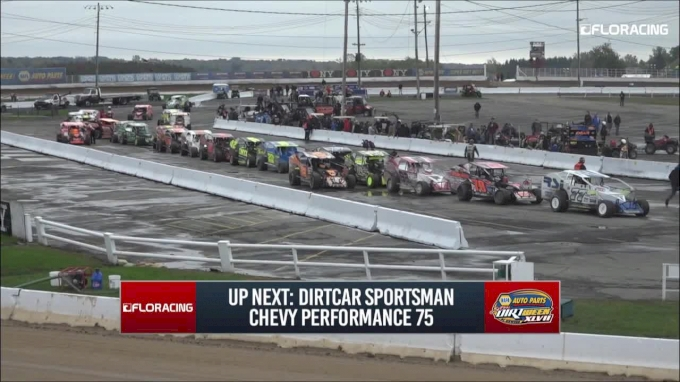 The Super DIRTcar Series Big Block Modifieds had a total of 70 drivers in attendance to compete for the famed 200-lap event. Polesitter, Jimmy Phelps, and the entire 98h team tried to do the impossible. They took the gamble and tried to run the entire 200 laps without stopping for fuel or tires. After leading the majority of the race, Phelps started to fall off pace by lap 190. After a yellow flag waived on lap 196, Phelps knew he wasn’t going to make it so elected to pit for a splash of fuel, surrendering his second-place position with only four laps remaining. Phelps crossed the line in 22nd. Gary Lindberg, the driver out of Ontario, Canada, stirred up quite the commotion by going out in a Big Block Modified for the very first time and setting the third fastest lap overall in time trials, which had him lining up on the inside of the second row for Sunday’s 200. Lindberg has 12 years of racing under his belt but never strapped into a Big Block Modified until this past week. Lindberg is a regular campaigner at Merritville Speedway in the small block modifieds. In 2014, Lindberg won one of the Sportsman qualifiers when DIRT week was held the Syracuse Mile. Lindberg was scored 34th in the 200 on Sunday. The Boyertown, PA driver, Ryan Watt shocked the field by rim riding all the way around the track to dominate the 25-lap Last Chance race Saturday evening, locking himself into Sunday’s Billy Whittaker Cars and Trux 200. Watt was tangled up in two incidents, making him restart tail of the field not only once, but twice. Not only did Watt charge through the field to qualify but took the lead over Rich Scagliotta and pulled away in dominant fashion to take the checkers. Watt typically competes in NJ, PA, and DE, to show up and put on such a show against some of the top names in business sure had all heads turned. Veteran driver, Kenny Tremont Jr. is no stranger to Super DIRT Week. Sunday evenings race marked Tremont’s 38th consecutive 200, something not many drivers can say they’ve done. It all started when he came to Super Dirt Week with his father in 1972 with Chuck Ely behind the wheel of their car. Tremont has been a dedicated supporter and driver of Super DIRT Week. Tremont holds one Super DIRT Week title which came in 1999, unfortunately, he was unable to add to his rankings Sunday evening but could possibly be back again in 2019 for his 39th 200. With pit strategies playing a tremendous roll on Sunday’s 200, the 41-car field was continuously being mixed throughout the race. Three fulltime Super DIRTcar Series drivers were locked into the top ten spots at the start of the 200; Jimmy Phelps, Peter Britten, and Danny Johnson. With pit strategies and spotters being put into play, Britten, Erick Rudolph, and Max McLaughlin were able to take advantage and maneuver their way into the top ten at the checkered, benefiting them tremendously in the points chase. This Friday evening will be the Super DIRTcar Series final points race of the season before they head south to Charlotte, NC for the World Finals finale. This Friday will be the Loud & Dirty Northeast Fall Nationals at Brockville Ontario Speedway.